Our bodies naturally create a solution to keep our knees and other joints lubricated. Osteoarthritis reduces the ability of this natural lubricant to protect your knees. Consequently, you may experience reduced mobility and increased pain. Our injections use the FDA-approved treatment known as Viscosupplementation. This is a solution comprised of highly purified sodium hyaluronate. In addition, this treatment is covered by most insurances, including Medicare. 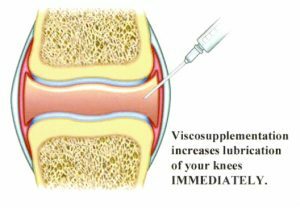 When injected into the knee, the Viscosupplementation solution helps to cushion and lubricate the knee joint, nourishing knee cartilage for natural pain management. The solution helps to restore normal function to the joint, including its natural lubrication. Patients experience less pain and are able to enjoy a more active lifestyle. What are the risks associated with the Viscosupplementation treatment? The most common side effects are minor, and include mild bruising, swelling or pain at the injection site. In extremely rare cases an allergic reaction may occur, only in those suffering from avian (bird) allergies. A rash, hives, itching and difficulty breathing characterize an allergic reaction. While rare, an allergic reaction requires prompt treatment. The majority of our patients, however, experience little to no side effects from treatment. 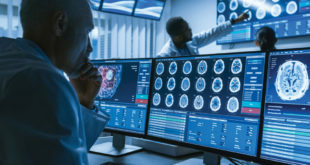 Though results may vary, most patients feel an immediate reduction in pain and return to norn1al activities in weeks. Do you wake up with knee pain? Does your knee pain keep you from certain activities? Have you been told you need a knee replacement? Are you active and sometimes suffer from sore knees? Do you take medications for knee pain? Do you have difficulty going up and down stairs? Are you considering surgery to alleviate your knee pain? Have you tried everything to get rid of your knee pain without success? If you have answered “YES” to any of these questions or if you are experiencing similar symptoms then you are likely ready to experience the relief and healing that Physicians Rehabilitation can offer. You must call right now. The demand for this procedure has been overwhelming. Therefore, we’ve had to limit the number of “NO-COST, NO-OBLIGATION”, knee consultations to the first 17 callers. Call (855) 276-5989 now before someone else gets your spot. Please visit our website: www.PhysicianRehab.com where you can learn more and read even more success stories from people just like you!